We are a team of qualified and trained workers who have dedicated our lives to uplift the unreached poor in the remote rural South India. We are working among a silent and oppressed majority in the rural South India, who have been unable to voice their concerns and requirements. COREED is born out of the real-life experience of our founder Rev. 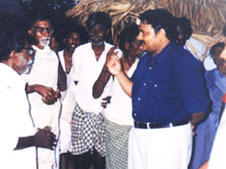 Dr. Joseph Ravela who hails from a remote village. We are an organisation working for the development of Dalits and Adivasis through a holistic approach by focusing on education, health, technical education, vocational training, economic sustainability, women empowerment and emancipation through cooperative programs, education on environmental and social responsibilities. 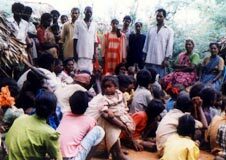 The casteist society has continued to suffocate the underprivileged, especially the voiceless minorities of women and children, in rural India denying them access to common and essential facilities like drinking water, irrigation facilities, education, health and other State-supported development programmes. We empower the unreached Dalits and Adivasis to combat the twin devils of casteism and poverty and shape their own path towards sustainable development. We do this through awareness programmes, education and access to facilities, ensuring that they are in a position to decide their own future.